These Stock Images (all computer rendered) are brought to us by Hasbro. We already have pictures of these toys seen at the show here. What is really new now is the descriptions for each class. The Transformers battle explodes into uncharted territory when the Titans Return! To control an ancient race of giant, city-sized warriors–Titans–the Transformers must harness the power of Titan Masters, smaller bots that give bigger bots enhanced abilities in battle. Titans Return Legends Class figures deliver exciting Transformers conversion in a smaller scale. Most Titans Return Legends Class figures are Triple Changers that convert from robot to spy tablet to beast mode. In spy tablet mode, Triple Changers Legends Class figures work with Titans Return Leader Class Autobot Blaster figures. Additional figures are each sold separately. Subject to availability. Also includes a collectible character card. The Transformers battle explodes into uncharted territory when the Titans Return! To control an ancient race of giant, city-sized warriors–Titans–the Transformers must harness the power of Titan Masters, smaller bots that give bigger bots enhanced abilities in battle. Every Titan Master figure can become the head for any Deluxe Class, Voyager Class, or Leader Class Titans Return figure. Choose from Autobot and Decepticon Titan Master characters, unite them with other figures, and imagine they’re powering up for battle! Each Titans Return Voyager Class figure comes with a Titan Master figure. The Titan Master figure becomes the head of Voyager Class figure. When the Voyager Class figure is in vehicle mode, the Titan Master figure fits inside. Each Voyager scale figure is also a triple changer. Includes individual accessories and collectible character card. Additional figures are each sold separately. Subject to availability. The Transformers battle explodes into uncharted territory when the Titans Return! To control an ancient race of giant, city-sized warriors–Titans–the Transformers must harness the power of Titan Masters, smaller bots that give bigger bots enhanced abilities in battle. Every Titan Master figure can become the head for any Deluxe Class, Voyager Class, or Leader Class Titans Return figure. Choose from Autobot and Decepticon Titan Master characters, unite them with other figures, and imagine they’re powering up for battle! Each Titan Master figure converts from robot to head mode and back in 1 step. They come with a mini vehicle or mini beast that converts to a weapon for Titans Return Deluxe, Voyager, or Leader Class figures. Additional figures are each sold separately. Subject to availability. And, is it just me, or is it super cute, and ingenious how overkills lower jaw are the legs of the headmaster (even using the natural joint to give it articulation ), and the t-rex arms are the headmasters arms? HELL YEAH! THE HEADMASTERS RETURN IN FORCE! Well, they are called "Titantmasters" instead... It sound less fellationny and more powerry. I like it. Yeah, he's just a voyager, but before you guys complain about that spoonfull of deliciousness, think about it. WE FINALLY HAVE A CLASSIC GALVATRON! A Galvy that will fit in scale on every classic shelves! Must I add more exclamation marks?!!!!!! -Kanrabat- wrote: HELL YEAH! THE HEADMASTERS RETURN IN FORCE! Well, in G1, both the body with the head as well as just the head was called "head master". Now we know the full robot is the head master while just the mini robot is the titan master. I bought Skullcrucnher in 1987, but that summer a "friend" broke in and stole it, as well as a few other Transformers of mine, and got away with it. Nice to know 29 years later I can finally replace the figure. Hasbro wrote: Most Titans Return Legends Class figures are Triple Changers that convert from robot to spy tablet to beast mode. Actually, they seem to convert from robot or beast to "spy tablet" (whatever that is) to vehicle. Also, anyone else thinking we're gonna get these two as non-combining versions of Grand Slam and Raindance at some point? Hellscream9999 wrote: And, is it just me, or is it super cute, and ingenious how overkills lower jaw are the legs of the headmaster (even using the natural joint to give it articulation ), and the t-rex arms are the headmasters arms? I didn't even notice that. I like it, it's clever. Most of the Titan Wars Stuff just doesn't speak to me for whatever reason, but I'm getting that guy (from other stuff I'm seeing online, I think he's being called Terribull), and maybe Skullcruncher. Finally a decent looking Galvatron, nice attempt Hasbro. Unfortunately I can already see the much needed paint apps I feel Takara will step up and improve giving us a true looking Galvatron. just when i was dead set on buying Unique Toys Mania King... DAMN YOU HASBRO! (shakes fist in the air). Mechastrike wrote: just when i was dead set on buying Unique Toys Mania King... DAMN YOU HASBRO! (shakes fist in the air). But deep down, are you happy you get to save a whole bunch of cash? Wow, an official Galvatron. And kind of in "Studio OX" style. 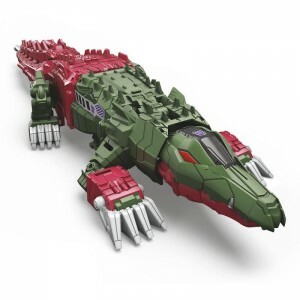 Shame they couldn't work Skullcruncher's tail into the transformation. Galvatron's crown looks great in the render, but terrible in the prototype. Hopefully final product looks like the render. Just noticed that Hardhead, Galvatron, and Blaster have pegs so their Titan Master partners can be secured when standing on their alternate modes. Also, does anyone else think the smallest class of Titan-Master is intended as a cheap way to replace a character's head when it gets lost? So, how will this play in the comics? Small people coming along to become partners to the existing bots? Or normal sized bots becoming Titan Masters for new, gigantic bodies in order to fight for the Titans? Or somehow the Enigma of Combination will allow standard bots to separate parts of themselves so they can take control of the Titans? We've already seen Megatron mass-shift down to small-size in robot mode, but it's hard to imagine him merging with Galvatron. yea... i mean thank God I can still pay the bills though. Those little headmaster guys are soo cool!! 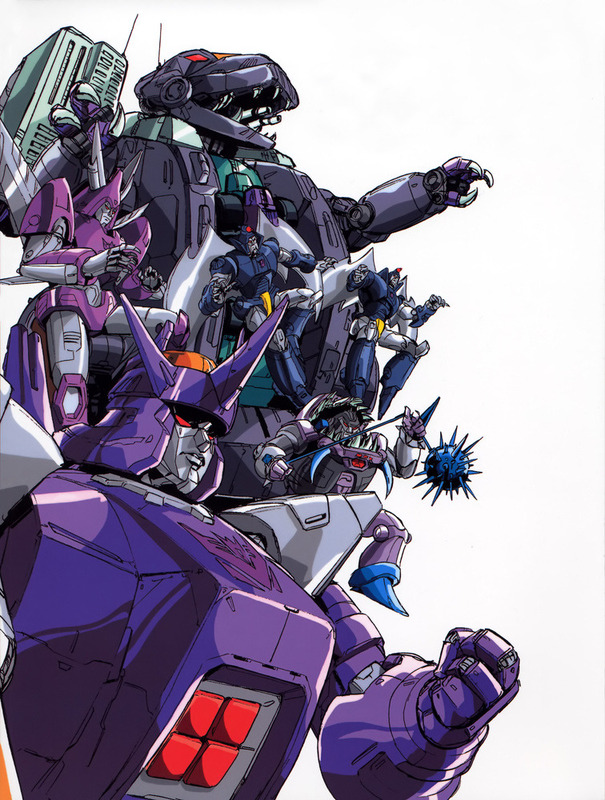 And with this, Galvatron has grown to my liking. The Megatron titanmaster figure looks really good. Cannot wait for Hardhead!!! I too believe Astrotrain will be coming in Voyager scale. Even if he is a bit big, Blaster still looks good. I can carry him around as an actual boombox!!! Caelus wrote: So, how will this play in the comics? D-Maximus_Prime wrote: Even if he is a bit big, Blaster still looks good. I can carry him around as an actual boombox!!! You can probably fit a modern MP3 player inside his tape-deck.